While I do think all shapes and sizes are beautiful, it is important that you know your BMI (body mass index) and keep your weight at a healthy level. A healthy BMI range is from 20-25; anything less than this is considered underweight and anything over is overweight. 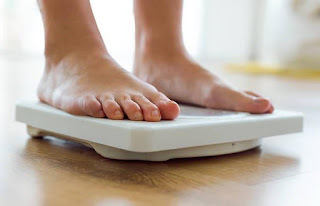 A BMI of over 30 is classed as obese. This is a guideline of a good weight. Anything less or over the recommended BMI range ca have adverse effects on your health. If you feel you are severely underweight or overweight, speak to your GP or a dietician. Suddenly changing your lifestyle can have some serious consequences and these needs to be monitored. Far too many people have too many opinions on what other people should wear based on their figures. I firmly believe that people should throw out the rule book when it comes to ‘dressing for their shape’. Own what you have and wear whatever you want. Your body and you make the rules. Besides, if you are dressed in what you like, the confidence will show through and that beauty cannot be denied. When you exercise regularly, you get to see what your body can do when pushed to its limits. This alone makes you see your body in a different light and you will start to embrace it more. Exercise also gives your day structure. And it feels good to work out and just be active. If you truly love your body and you are of a healthy weight, ignore all negative comment that comes your way. No one in the world has the right to comment on your body (except the doctor) and them doing so is usually just them talking about how they feel about their body but they are using your body to reflect their insecurities. Keep your head high and strut your stuff because you are perfect and no amount of ‘you need to lose weight’ comment will change that.